Since opening Valley Park North, Chad Griggs (Managing Partner) has been heavily involved in the daily oversight of all three Valley Park locations. Chad's responsibilities include managing all purchases, staffing scheduling, and representing ownership in the field. Beginning April 1, 2017, Stephanie Easley was promoted to the position of Quality Assurance Director. Her main focus is training of new/current staff, resident chart review, and conducting field audits regarding residential care standards. Valley Park Retirement Centers opened a brand new facility in California, Missouri. Valley Park West is an 18-bed facility. We are excited to welcome all new residents how have moved into our facility and who now enjoy carefree living in their own community. Valley Park North is NOW OPEN! Valley Park North is officially open for business as of January 15, 2016. We are excited to welcome our new residents to our brand new facility! On June 25th Valley Park hosted a Hawaiian Luau party for its residents. The residents enjoyed snacks and beverages in the dining room. Valley Park had the opportunity to sponsor a golf team for the annual Fulton Area Chamber of Commerce Golf Tournament at Tanglewood Golf Course in Fulton, MO. Valley Park sponsored the 10th hole, which sits directly behind the lot where Valley Park North will be built. From left to right: Brett Griggs, Chad Griggs, Jeff Cremer, And Rick Schlueter. The residents at Valley Park Holts Summit enjoyed a BBQ on Memorial Day including hot dogs, brats, and burgers. Cold beer, wine, and soda topped off the perfect afternoon. Valley Park North Under Construction! 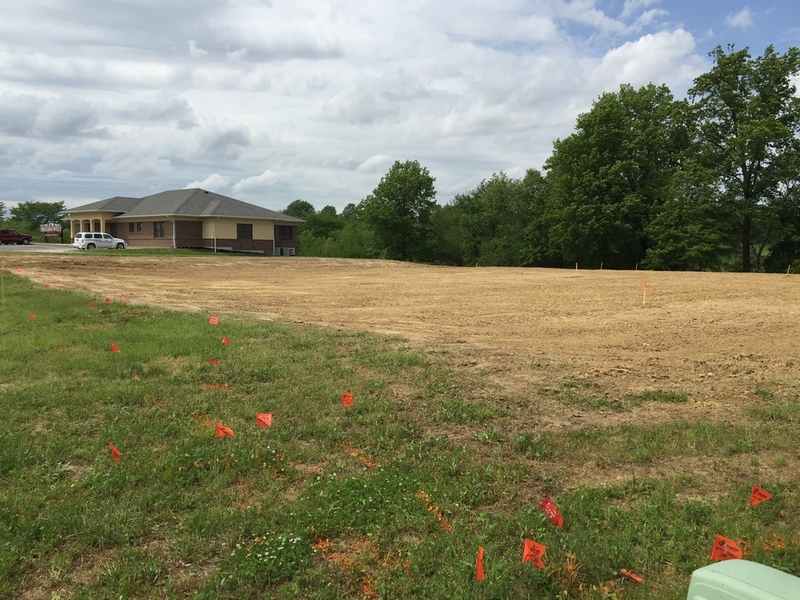 Valley Park North recently began construction in Fulton, Missouri behind Tanglewood Golf Course. The grand opening is scheduled to be in Fall 2015. Valley Park updated it's website to include a more modern layout, as well as introducing Valley Park North!